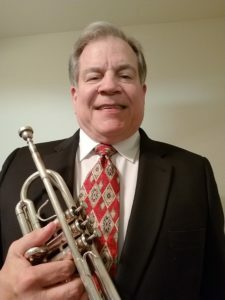 John G. Scott has performed with the Atlanta and North Carolina Symphonies, the Atlanta Pops, and for numerous touring Broadway shows including A Chorus Line, Annie, Mary Poppins, Damn Yankees, and Big River. In addition, John has backed entertainers including Johnny Mathis, Suzanne Somers, Michel Legrand, Rosemary Clooney, and Ella Fitzgerald. John received a Master of Music degree from Northwestern University, where he was a student of Vincent Cichowicz.